Sin City is not only Robert Rodriguez’s best film, but one of the best comic book adaptations of all time. Since its release in 2005, Frank Miller has become a full blown right wing crackpot, and his creative output has gotten progressively worse. In addition, Robert Rodriguez has continued to be the very definition of mediocrity. Such massive disappointments aside, Sin City is still a one of kind film. Its kind is sorely needed these days, as the term “comic-book movie” has become synonymous with superheroes and not much else. Thankfully, the sequel was confirmed on April 13th. Now, before it even goes in front of the cameras, the first piece of marketing has emerged: An official teaser poster for Sin City: A Dame to Kill For. 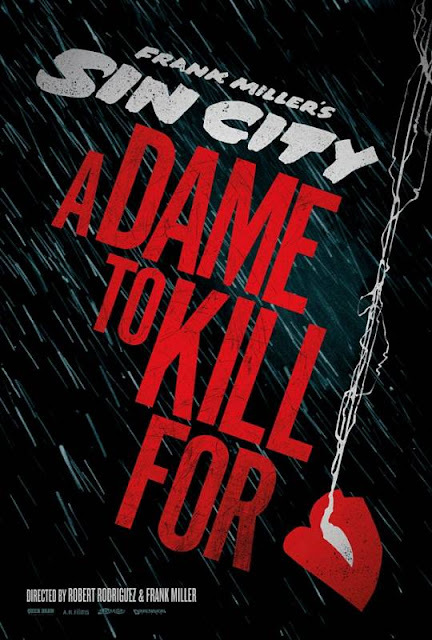 A Dame to Kill For was the first Sin City tale I ever read. It told the story of a photographer who gets caught up with an old flame and pays a huge price in the process. That same character was played by Clive Owen in the first Sin City film. He was the protagonist of The Big Fat Kill. Whether Clive will reprise his role is unknown at the moment, as the cast for this new film has yet to be confirmed. Either way, it’s nice to see the return of this franchise. I just hope that Miller won’t be the sole director as has been rumored. The world doesn’t need a sequel to Machete, but it does need a sequel to Sin City. Quite badly, I might add.